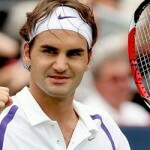 Roger Federer has regained the world number one spot to match Pete Sampras’s record for 286 weeks at the top. The 30-year-old Swiss heads the ATP rankings for the first time since June 2010 after beating Andy Murray to claim his seventh Wimbledon title. He takes over from Novak Djokovic and is guaranteed to set a new mark of 287 weeks in seven days’ time. Brit Jonny Marray is up to 21, from 76, in the men’s doubles rankings after his title win with Dane Freddie Nielsen. Djokovic slips to two in the rankings while Rafael Nadal is at three with Murray still at four. Beaten Wimbledon semi-finalist Victoria Azarenka takes over as women’s world number one from Maria Sharapova while champion Serena Williams moves up to fourth from sixth. A year ago, after illness and injury, Williams had slumped to 175th place in the WTA rankings. With Djokovic not playing this week, Federer is guaranteed to retain the top spot, and may well remain number one until at least the US Open, which starts on 27 August. Federer’s four-set victory over Murray secured his his 17th Grand Slam title, and his first for two-and-a-half years since he beat the Scot in the Australian Open final. “I see it more as a stepping stone, a period I had to go through as well. To win 90% of my matches throughout the year is impossible every single year. 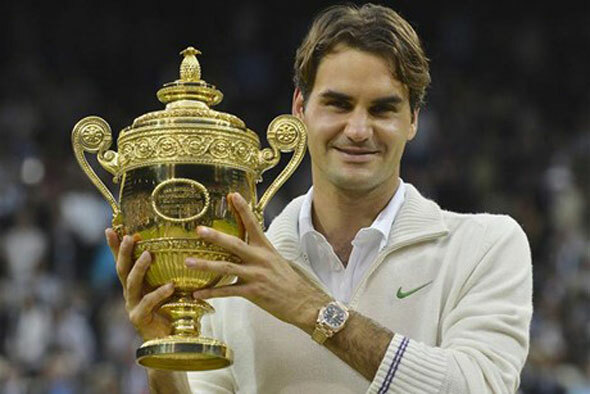 So you’re always going to go through ups and downs,” said Federer.